Founded in the late 19th century, Selmer has always been known for its breathtaking saxophones and exquisite craftsmanship. 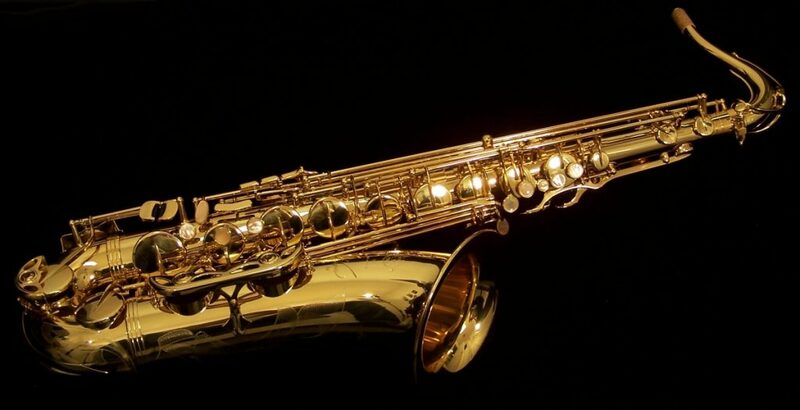 Today, the company is favored among musicians for its manufacture of saxophones for players of all levels. 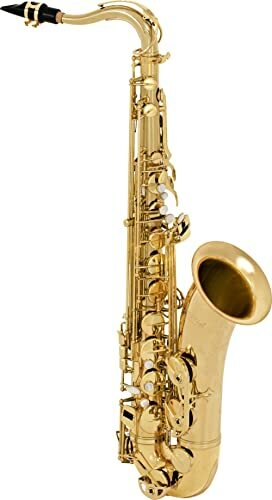 Yet, despite the brand name, choosing the right saxophone from the range of models can be a challenge. But after reading our review, and some careful consideration, you will find the model that fits your exact needs. 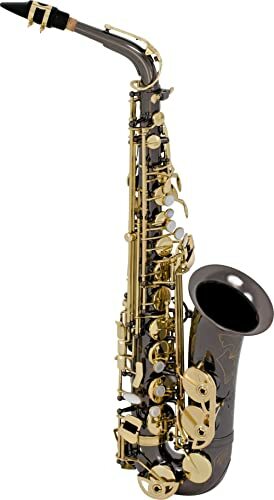 This is a beginner saxophone but one of the finest on the market, one of the reasons for its popularity is its great build for the money. This horn is very comfortable to play and the keys are made in a way to help the musician use proper hand placement. Now, the thing that stands out here is its responsiveness and tone. The soft, even sound makes it a popular option for musicians who work in the classical and jazz music styles. When it comes to appearance, Selmer’s got it down pat. That gold lacquer and engraving on the bell is a real draw and sets this horn it apart from the other competitors. The metal in this horn is a little thicker than on the higher end horns. This is due to it being a student beginner horn. To sum it all up. this is an instrument that is quick to play and has a vibrant sound, especially when used in open spaces. Some people think the AS-500 sounds a little “tinny” compared to that of a pro horn. Here we have a Selmer intermediate alto horn, made in the key of Eb. I love the relaxed feel and a warm sound on this horn. And it has a perfect intonation, which gives any musician the flexibility they need to hit those soft and high note ranges. The SAS280 is ideal for the intermediate player who wants to work in both a concert environment and as a soloist. When it comes to appearance, the La Voix II sports a traditional-sized bell with the craftsmanship that Selmer is known for. It is the metal alloy and the shape of the bell that helps the player keep his tone and allows him to blend tones and the pitch easier. Here, Selmer has focused its efforts on making the horn easy to play. The pitch is also very consistent from the low end to the altissimo. The ergonomic key placement gives musicians a fluidity of key movement, but also offers the dark jazzy sound they love. The Selmer LaVoix tenor plays just about as well as any high-end sax. With this horn, you’ll know it is the sound that makes it stand out from others. The STS280 intermediate lets you express yourself to your best ability. This is a fun horn to play and it responds well to your every move. It handles very well and is lighter in weight than many of the other top horns on the market. The acoustics are outstanding and the embouchure and air stream are perfect. The key setup is ergonomic and compact giving the player quicker response time. Other features include the traditional Selmer bell flare, a high F# and multiple adjusting screws. Keys can loosen over time requiring adjustment. Here we have the modern-day gem of Selmer. 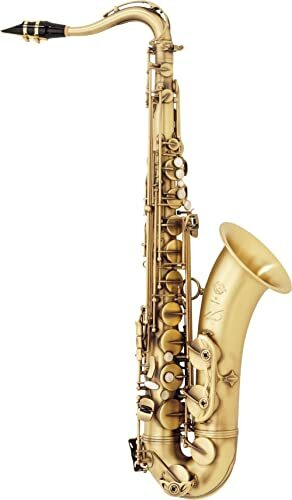 It is the modern version of the long-time gem of the Selmer Paris tenors, the Mark VI, the gorgeous sax of the 1960s. Like that legendary horn, the Paris Reference 54 tenor meets the checklist for all the same great features, but with an added modern flair. Playing the Reference 54 tenor is an enlightening experience and an extraordinary instrument. It has a richness and warmth of tone that is unequalled. The modern difference is that the Reference 54 is a little brighter than the old Mark VI and the keys offer a better and smoother feel. Musicians also like that it is lighter than the old Mark VI. Again, I have to say, that it is the sound stands out here. The rich, warm tones and flexibility in tone range that the instrument offers is out of this world. And reminiscent of the old Selmer Paris Mark VI. Its rich throaty sound and superfluid keywork. The horn also offers that great vintage sound but with a new modern-day quality. When it comes to appearance, the great thing here is that the model comes in a lacquered finish and a brushed finish, which lets you choose the one that best fits your needs. Oddly though, the lacquered model seems a little off. The style does not appear to be a uniform finish. I guess the point is to make it look vintage, but for many players, it just seems kind of strange. Of course, that is a matter of taste, so what one player thinks is weird, another thinks cool. The Selmer AS42 is an excellent Pro horn that comes at a relatively affordable price. What makes this instrument a true stand out is that it is a combined interest design. 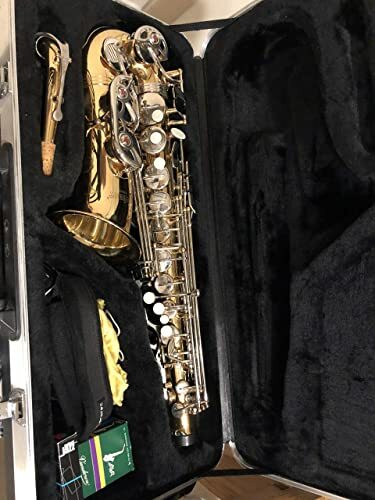 This is a merged design created by Henri Selmer Paris and Selmer USA, so it comes with a Henry Selmer Paris manufactured neck and mouthpiece. I have to say, the response to this pro horn is amazing and versatile. It works with all genres from classical to modern jazz or any combination in between. 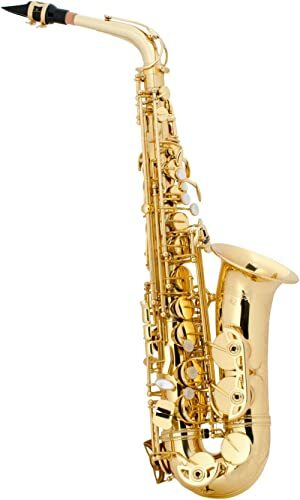 Here is a quick overview or buyer’s guide to Selmer saxophones. Be sure to consider a few of these points before buying your next Selmer horn. Do you like the design and sound of the Selmer brand? Do you prefer the Selmer USA or Henri Paris models? Is there a Selmer case included? Does the seller offer a returns guarantee? When a Selmer horn has all the features you want, then you want to purchase the sax that will be your lifetime companion. Once you have looked at all the Selmer pro horns, then you want to consider the weight and feel of the sax. 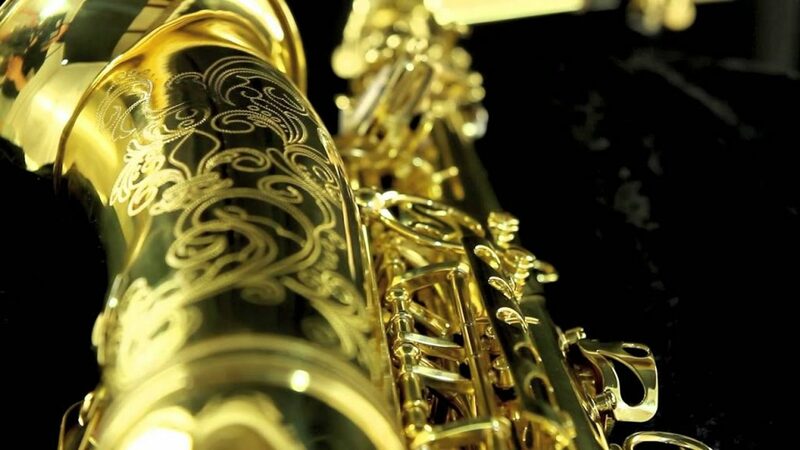 Holding a saxophone for an hour or two can make it harder to play. Be sure to get a horn that you can handle. Keep in mind that if you get a saxophone that is too heavy, it is going to be hard to handle and play. Test out a few options, but go with your gut. Each Selmer model has a different feel to it, a different intonation. It needs to feel good in your hands. The play position needs to seem natural. Selmer has a fantastic lineup of horns. You can’t get a bad Selmer, so there is no right or wrong decision. They are all great options. Personally, I like the deep tones of the original Selmer gem, the vintage Mark VI. 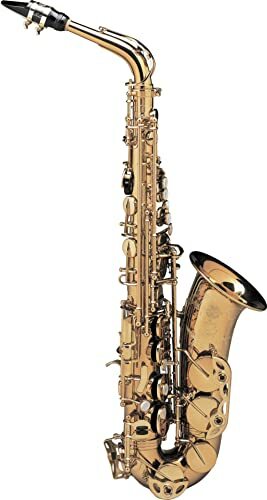 But it’s an old sax with old problems, which is why I am going with the Reference 54 Alto Saxophone. It has that deep rich tone I love in the Mark VI with the wide range of play that I look for. But all the modern features of a new horn. I don’t really care for the brushed finished model, but hey, I love the way it sounds.